Azerbaijan’s relationship with the EU cannot be reduced to “a mere provider of energy security”, reads a position paper, signed by almost 30 members of Eastern Partnership Civil Society (EaP CSF) Azerbaijan National Platform. 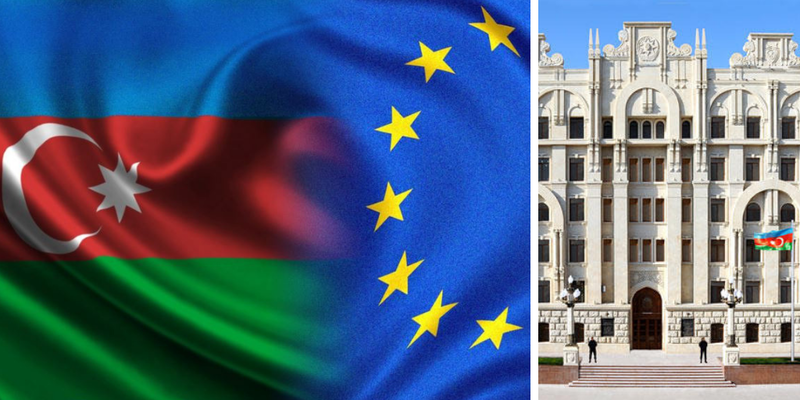 The future EU-Azerbaijan Strategic Partnership Agreement must include references to both legal and political reforms – which would ensure the country’s commitment to human rights, democracy and the rule of law. The draft agreement could be instrumental not only in bringing about change, but also act as a safeguard – in protecting the independence of the judiciary, electoral law or certain economic, social and cultural rights, some of which are routinely breached in Azerbaijan. “Our vision is a free Azerbaijan”, we read in the paper, “concerned with (full) provision of human rights and individual freedoms, equality of all before the law”. To achieve this goal, it is crucial that the future agreement prioritises political reform – which according to civil society, will lead to changes in other areas, energy security being one of them. The paper also mentions 2020 Deliverables and the Joint Declaration of the Eastern Partnership Summit, signed last November – in this light, the upcoming agreement is a real chance for the EU to embrace its role as a driver of change and a guarantor of “democracy, stability and prosperity“. What is more, there is an acute need for greater transparency and accountability, which includes effective monitoring mechanisms and civil society engagement. This also applies to the sphere of economics and questions, impending the country’s development. In a number of subject-specific points, the paper outlines civil society’s expectations: faster accession to World Trade Organization – WTO, signing of DCFTA – Deep and Comprehensive Free Trade Agreement and economic reform, based on the “freedom of private initiative, guarantee of property rights and an effective, independent judicial system”. A hundred years after its independence, and creation of Azerbaijan as a progressive, independent state, the country is at historical crossroads – standing “before a unique opportunity to join Europe”, concludes the paper. Despite legal obstacles, civil society actively continues to monitor and report on the situation in Azerbaijan. Earlier in October, “Democracy Monitor” Public Union (DeMo) – EaP CSF member organisation, published a joint report “Key concerns and recommendations on the protection of fundamental rights in Azerbaijan”, together with Azerbaijani Human Rights Club (HRC) and Brussels-based International Partnership for Human Rights (IPHR). The issue of shrinking space for civil society is also addressed by WG1 2018 Re-granting project “Civil Society for Combating Corruption and Promotion Open Governance in the EaP Countries”. In 2017, Open Government Partnership (OGP) suspended its cooperation with the Azebaijani government due to substantial challenges, faced by civil society – negatively affecting their operating environment. The authorities were presented with a number of recommendations, issued by OGP – which could lead to their reinstatement in its global framework. Drawing on OGP’s points, Public Initiative Center (PIC) complied an independent assessment of the situation, entitled “An assessment report on the implementation of OGP recommendations for the Government of Azerbaijan” within the said Re-granting project.